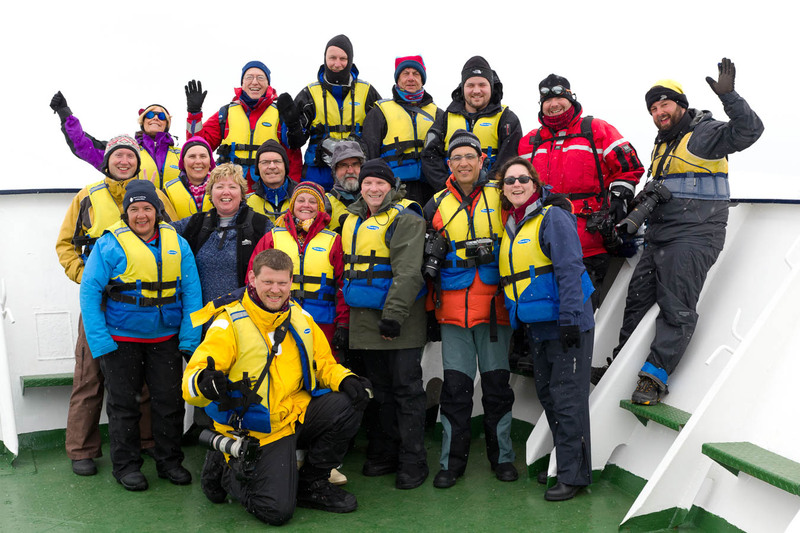 In 2016 we’re heading back to Antarctica for another LuminOdyssey expedition! 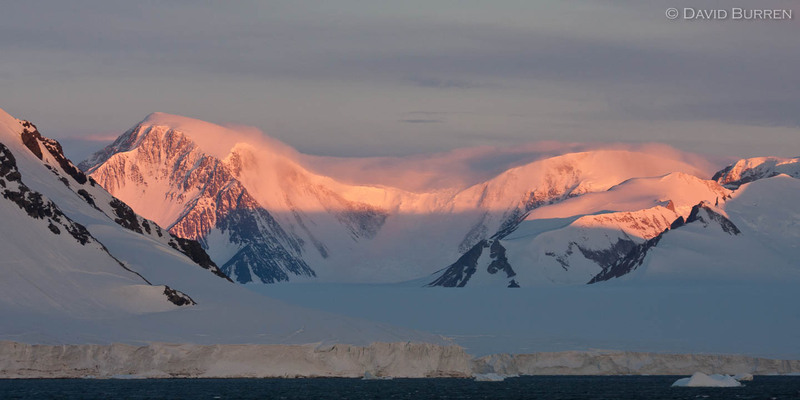 David Burren and Michael Snedic will be taking 18 photographers on a two-week photography expedition along the Antarctic Peninsula and south of the Antarctic Circle. The trip runs from January 15-28, 2016, starting and ending in Ushuaia, Argentina. 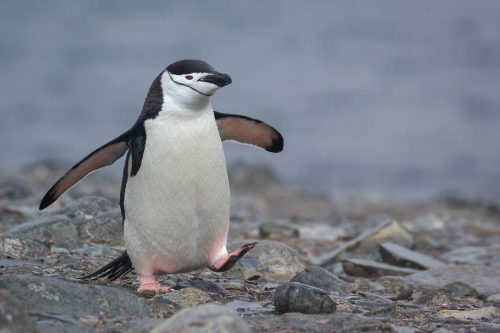 We will travel across the Drake Passage to Antarctica, and down the Antarctic Peninsula as far south as Marguerite Bay, south of the Antarctic Circle. We will spend a full week exploring the peninsula before heading back to Ushuaia. There are never any guarantees with Antarctic weather, so the exact itinerary can always change at the last minute but we’re expecting to spend just over 7 days in Antarctica itself. 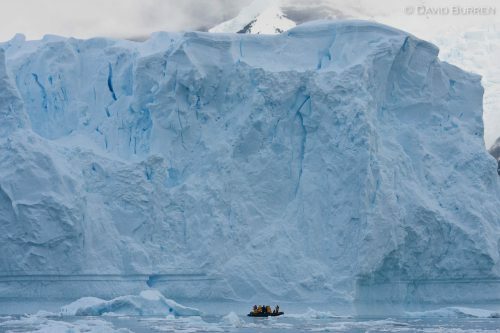 This is not a rushed visit where people only get to spend 3 or sometimes 5 days in Antarctica-proper (although those 7 days will be very full days!). The days are long (the sun will hardly set most days) and most days will usually involve at least two opportunities to get off the ship and either go ashore (usually amongst penguin colonies), or cruise amongst the ice in Zodiacs photographing amazing ice formations and wildlife. Through all of this Michael and David will be there to help you make this a trip of a lifetime, letting you come back with new images and new skills. There will be many opportunities to photograph from the ship also. 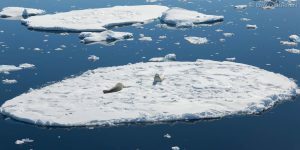 Landscapes, icebergs, and wildlife as we sail amongst them. With the landscapes changing almost every second, it can be surprising how many different scenes you can photograph in a day! Mouse-over or tap on the image on the right (or immediately above on a small screen) to see one taken only 8 seconds later with the same camera. All these images were made on previous visits to this area. We will be travelling on the Ocean Diamond, operated by Quark Expeditions. This comfortable and stable ship will be your home for the entire voyage, with most cabins being twin-share and all with private facilities. Cabin details can be seen at Quark’s info page. 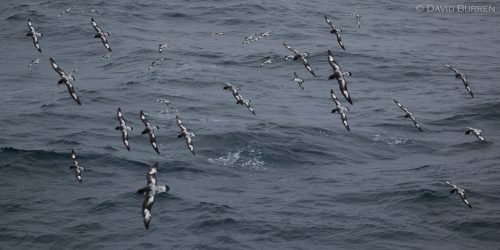 The ship is faster than most, and this can give us a quicker-than-average crossing of the Drake Passage, giving us a little more time in Antarctica than other ships. 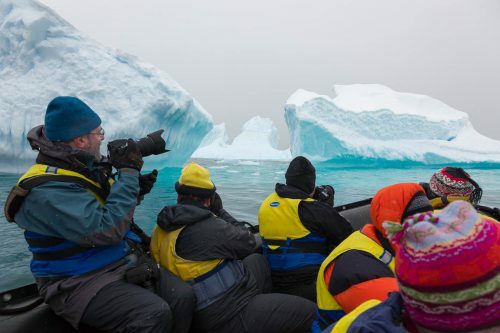 The ship will also have non-photographer passengers on it, and while we will be sharing the ship and the general Antarctic experience with them, the photographic advice/instruction will be for our group. For example on outings we will usually operating as a group with two Zodiacs, with David in one and Michael in the other. LuminOdyssey works closely with the Quark expedition team throughout (and before) the voyage to optimise operations on both sides to help everyone. The ship is larger than most of the “small ship” vessels we’ve used in the past, but from past experience we know that our photographers will have amazing photographic opportunities and experiences, coming home with new images and new skills, steps beyond what a “regular” Antarctic traveller gets. The additional space on-board for things like setting up computers together, as well as the private toilets/showers in every cabin don’t hurt either. David and Michael are both professional wildlife and nature photographers and tutors. They’re both Accredited AIPP (Australian Institute of Professional Photography) photographers, but with slightly different backgrounds. 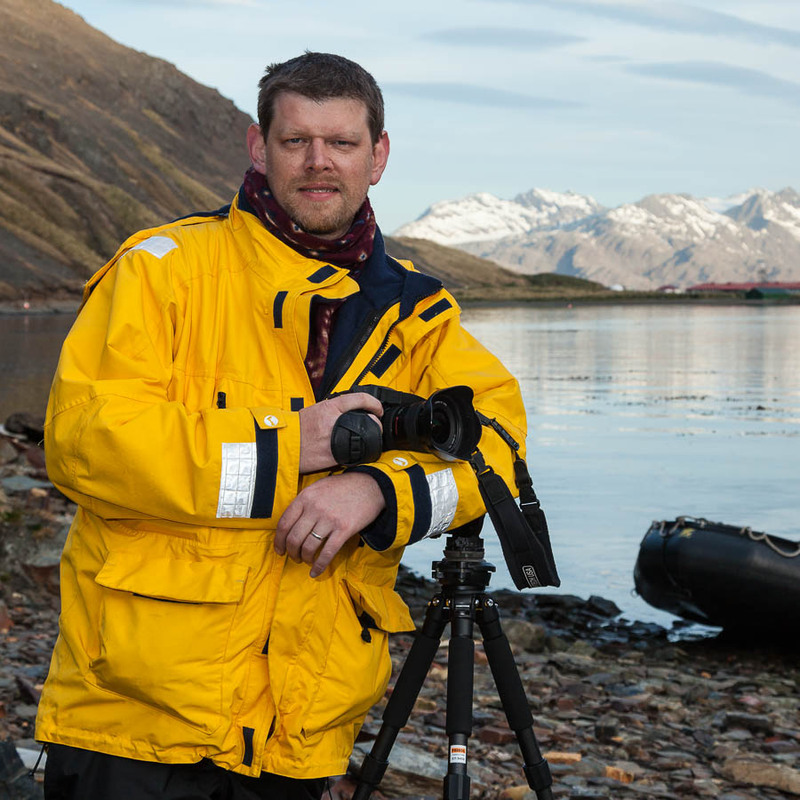 David Burren is the principal of LuminOdyssey Photo Expeditions. He started out as a photographer due to his interest in birds, and nature photography remains his passion. David spent 4 years teaching Photoshop and Lightroom at a tertiary level, and regularly provides tuition to groups and individuals on technical subjects as well as the craft of nature photography. 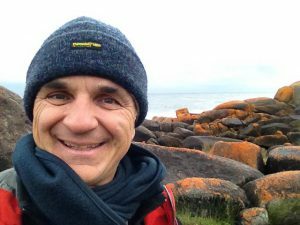 Through LuminOdyssey he has conducted photographic tours since 2010 to destinations around Australia and the globe (including Antarctica, the Arctic, and Africa). 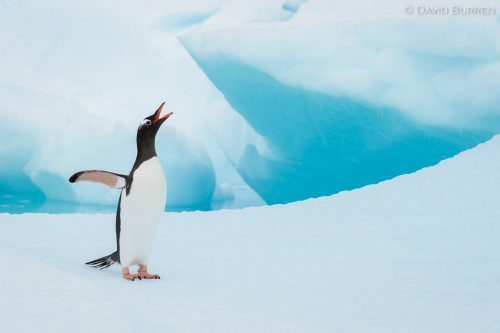 He has visited Antarctica multiple times and it holds a special place in his heart. Michael is a highly experienced and widely-published wildlife and nature photographer, writer and tutor. His articles and images have featured in magazines such as Australian Photography +Digital, Australian Geographic, Wildlife Australia, Australian Birdlife and the UK’s BBC Wildlife, to name but some. His images have featured in numerous calendars, diaries, books and many other publications, including billboards and he has had two books published on Australian wildlife. Michael is an Accredited AIPP photographer, is a Lowepro Ambassador for Australia and regularly conducts photography workshops and tours across Australia. Locations include Lamington National Park, the Red Centre, Lord Howe Island, Norfolk Island, Kangaroo Island, Fraser Island, Girraween National Park (Queensland), Tasmania as well as Africa. Due to a cancellation, one place is currently available. It’s in a twin-share cabin, but if required we may be able to arrange a single cabin. These prices are per person, in Australian dollars. A non-refundable 20% deposit is needed to secure your booking. All cabins have private facilities. These prices are ex Ushuaia. See further below for detailed inclusions/exclusions. 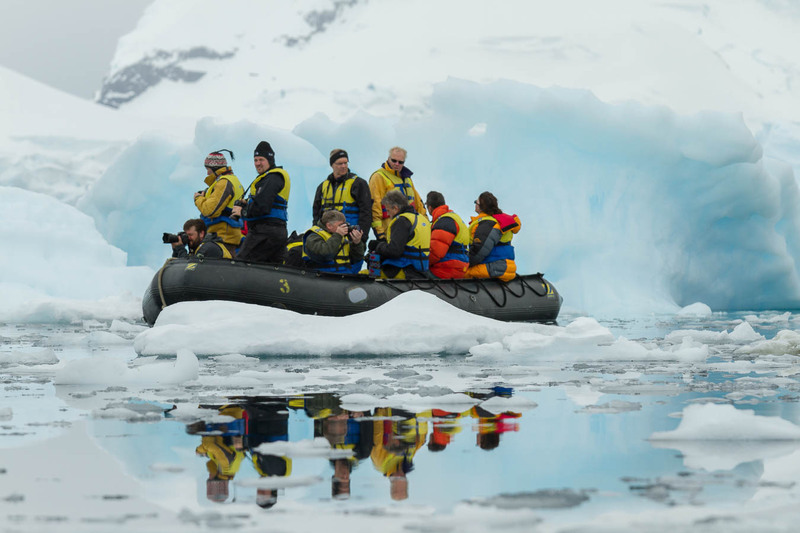 Because most of the cost of the trip is taken up with the mechanics of getting you to Antarctica and back, the price varies depending on the cabin type you select. contact David via the LuminOdyssey contact form or via phone at 0411 471634.
contact Michael via his site’s contact form or via phone at 0408 941965. 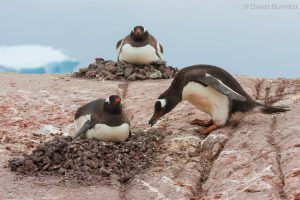 The trip is being put together with our partners at Peregrine Adventures and they take care of the travel arrangements for us, while we’re running the photography program and will be your guides on the trip. Travel to/from Ushuaia is not included. Peregrine can of course arrange flights and accommodation for you (including any other South American activities you want to include at either end of the trip) as part of a package, but you’re free to make other arrangements. 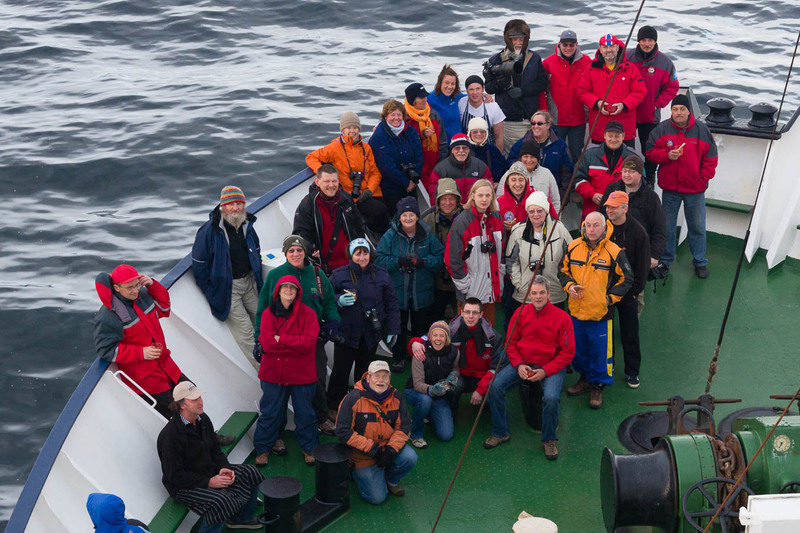 We have space for 18 photographers on this LuminOdyssey. David and Michael are both experienced nature photographers and tutors (and David has conducted multiple workshop tours to this area), and we want to optimise your experiences and opportunities. We will be on-hand to provide advice and suggestions throughout the trip, not only in terms of camera skills and composition options in the field, but also in the digital workflows to handle the thousands of images you’ll be generating. We also encourage all participants to take advantage of the image critiques provided throughout the trip. The photography workshop activities will be conducted in English. Photographers of all experience levels are welcome. Whether you’re a seasoned professional with expensive gear, a beginner with simpler equipment (or in fact any combination of those) we’ll be there to provide value for you. On all our workshops we cater to a large range of participant experience and knowledge. We will of course also be taking our own photos beside you, which is intended as leading by example. We not only work to get you to “the right places”, we’re there to help you make photos you’ll be proud of. If we see something special we’ll be pointing out the opportunities to you also, and you should never be afraid to ask for help. Each landing is different: there are always constraints on where we can safely go, but there are many opportunities to spread out. Anyone in normal good health is welcome to join us on this adventure. There are no special fitness requirements, although we will be often hiking on shore several times a day. We will be living on the ship which is sailing in unfrozen water, and the outside temperatures are often close to freezing. We’re not going inland where the temperatures would drop significantly. For example if you visit any of the Australian snowfields you’ll have probably been in colder conditions than we’ll usually see. And if you want to test out any gear in snow before the trip, the 2015 snow season might be a good time to visit the mountains! 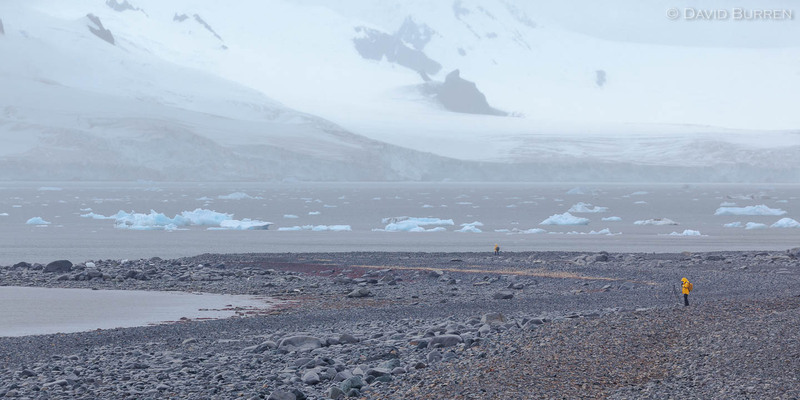 On these expeditions most photographers bring DSLRs and/or mirrorless cameras with interchangeable lenses. Sometimes even medium-format cameras. You should bring at least two cameras (one as a backup: there are no nearby camera stores!) and often at least 2-3 lenses. Zoom lenses are a popular choice, although some photographers use primes as well. In general at the telephoto end you’ll want something that reaches at least 200mm, although 300 or 400mm are often popular. Being able to pick out details within a landscape, or a group of penguins on a passing iceberg is something you’ll probably miss if you only have shorter lenses. But you’ll usually also want a wide-angle lens to deal with some of the massive icebergs up close as well as some of the majestic skyscapes. For example many people end up with three basic zooms: a wide-angle such as a 16-35mm, a general-purpose 24-70mm, a 70-200mm (or sometimes a 70-300mm, 100-400mm, etc). But in the end everyone usually ends up with a slightly different combination of gear. Of course, these figures are in terms of 35mm “full frame” cameras: you can convert with the appropriate “crop factor” for other systems. On clear days there’s a lot of sunlight, but sometimes a layer of cloud rolls in and we can sail through a spooky grey world with yellow sunlight around the horizon, and blue and green icebergs around us. Having a camera and lens that can cope with a broad range of brightness conditions without too much grain/noise will let you take advantage of more of these situations. But no matter what you have sometimes it’s just too dark, such as when we encountered a large pod of Orca late at night in overcast conditions and it was too dark for most people to get photos that weren’t just dark smudges. But putting the camera down and just watching them with your eyes was still a magical experience. Tripods are usually not useful on the ship. They can be useful onshore, but if you’re going to take one we favour smaller models due to issues such as simplifying getting into and out of Zodiacs. Spare batteries, polarising filter, and enough memory cards to at least last for each outing completes the basic camera gear requirements. A backpack to help you carry your gear onshore and withstand the odd splash of water is also essential. You need to have hands free while getting in and out of the Zodiacs, and when you’re dressed for Antarctic conditions a photo vest with enough pockets to hold your gear just wouldn’t work! Note that on the South Shetland Islands north of the Peninsula it’s possible we might encounter some rain, but as we go further south rain just doesn’t happen. As well as that photography gear, you should bring a laptop and hard drives to download and review the photos every day. Most people use software such as Lightroom to do this. You’ll have a limited stay in Antarctica, and while we don’t want to miss the photographic opportunities by spending all day sitting in front of a computer, it’s important to not only regularly backup the photos (and free up the cards for the next outing) but also review your work and identify how you can do things better on the next outing. We will help you with this process during the voyage, although proper planning before you start is essential. 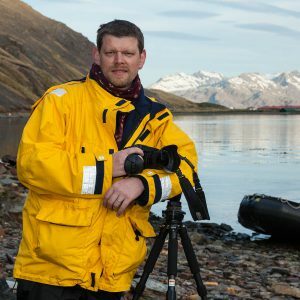 David’s practiced at this, and using Lightroom throughout the voyages usually has all his images sorted (including with keywords applied) and organised (with some key ones developed). This can make facing the mountain of images easier after the trip, allows him to find and give you copies of photographs that include you before we leave the ship, and have a selection of favourite images from each day of the trip easily accessible. We will help you to do as much of this as suits your own workflow, including providing you with things like a prepared keyword dictionary for Lightroom. In your trip preparations you will have access to an online forum where Michael and David will work with you to help you sort out your decisions about the gear you want to bring, how to pack it for travel, and help you get your computer setup. We will be doing our best to help you prepare for the trip and the photography beforehand, because once the voyage begins you will probably find your days very full! 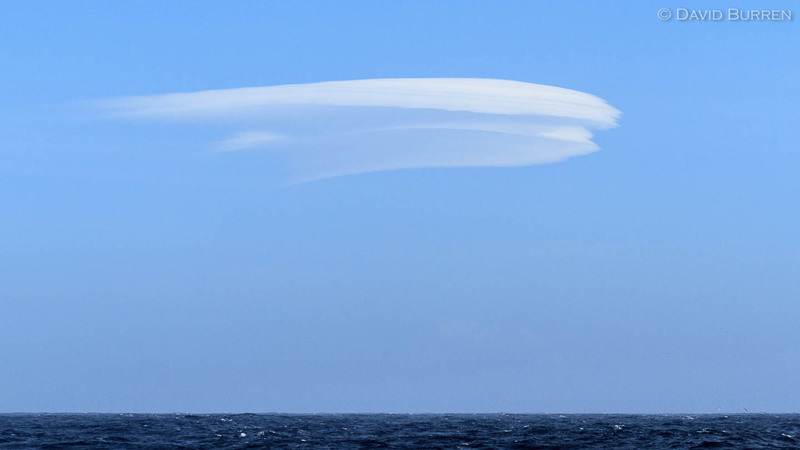 The Ocean Diamond is a faster and more-stable ship than the vessel used on previous Antarctic LuminOdysseys, and we’re hoping for generally calmer sea-days. 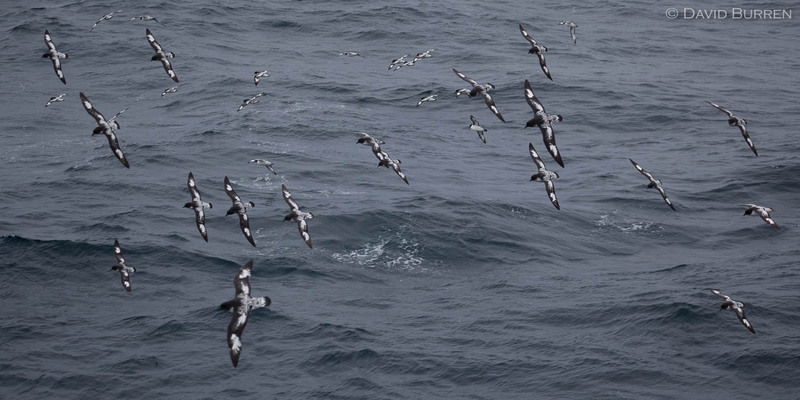 But no matter how fancy the ship is, the Drake Passage can be tricky. Some days it can be flat calm, while some days it can be one of the roughest ocean locations in the world. You should be prepared with medication just in case! Generally once we reach the islands around the peninsula, we’re no longer exposed to the same swells and storms, and any seasickness should pass. This route is approximate. It typically varies during the voyage depending on weather conditions. We start here on the southern tip of Argentina. It’s an interesting town with stunning scenery nearby. Some of us will have transited directly here from Australia (often meeting up along the way as most people end up on the same flights) while others may have decided to visit other parts of South America on their way here, and any participants from other countries will be joining us here. Flights may arrive in the afternoon or early evening, but most of us will meet up for a briefing at our hotel this evening. There are no formal organised activities this morning, and you will be free to explore the town on your own or together. Part of this day’s purpose is to act as a buffer in the event of any flight delays (it happens! ), but there’s enough to do around town to occupy everyone. Along with the relatively mundane but pleasant option of exploring a new town in a foreign land (with shops, scenery, museums, and especially lunch places!) there will be options for things like short trips out of town into the surrounding beech forests, and some people may even choose to go on a helicopter flight for some aerial photography. You need to be back by just after lunch, as in the afternoon we board our ship, get introduced to the ship’s Expedition Team, and meet the motley crowd of fellow adventurers who we’re sharing the ship with for the next 13 days. The ship sails down the Beagle Channel through the evening, and by the morning we’ll be on the open ocean. Hopefully it’ll be more like the “Drake Lake” than the “Drake Shake”, but depending on the weather crossing an ocean can be a photographically-productive time and we usually spend some time up on deck. There are many photos to be made, including capturing some of the wildlife: birds following the ship, even passing whales. 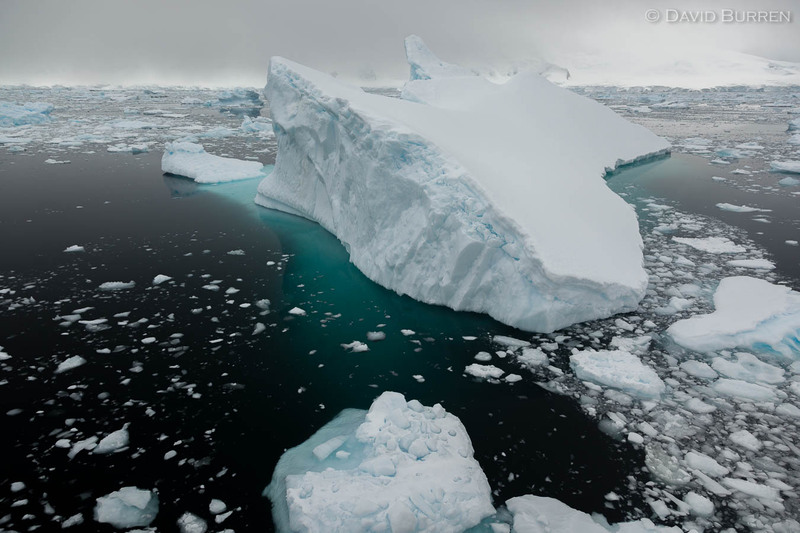 The change in the ocean and the air temperature when we cross the Antarctic Convergence can be quite marked, and by Day 4 we should be seeing our first icebergs. 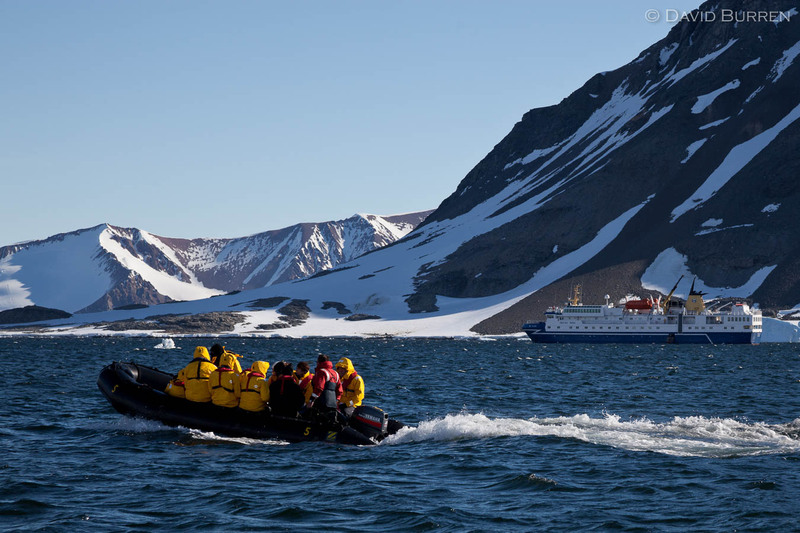 Of course some of the time will be spent with safety briefings and educational lectures by the ship’s Expedition Team to help prepare you for the coming days. On expedition cruising we’re always subject to the weather so there are rarely guarantees, but on the Ocean Diamond we hope to reach the South Shetland Islands (the outskirts of Antarctica) for our first landing on Day 4. 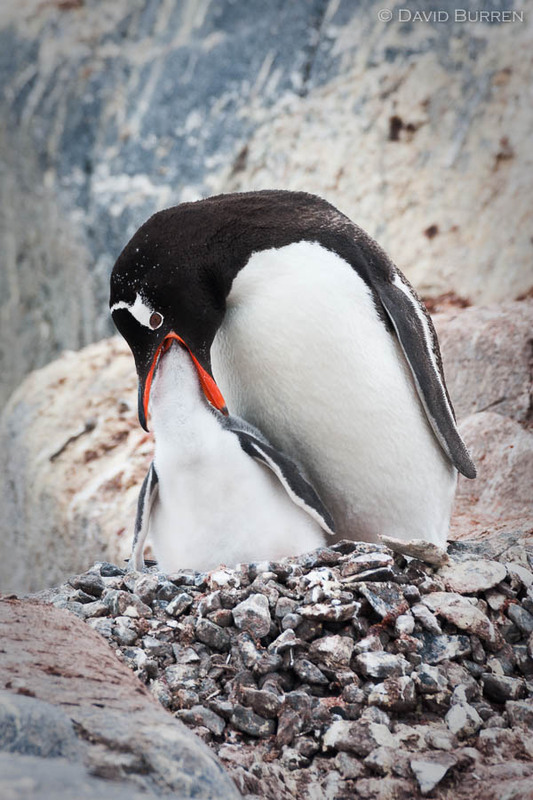 Starting in the South Shetlands, we expect to land on various many as well as on the Antarctic continent itself. We will travel down the coast as far south as Marguerite Bay, and hopefully through “The Gullet” inshore of Adelaide Island and eventually back to the South Shetlands. 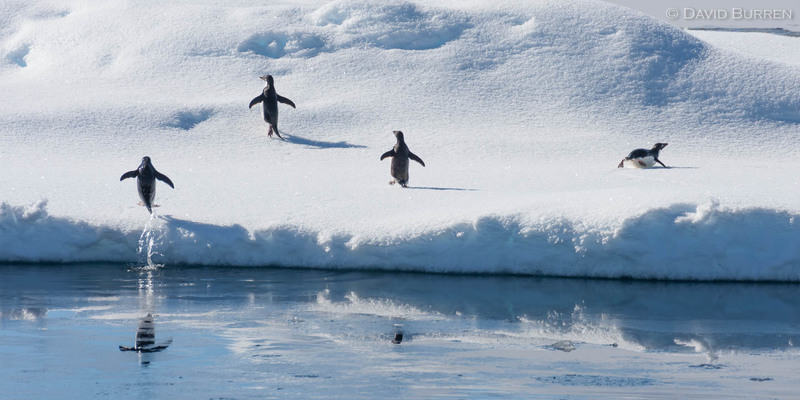 These waters amongst the islands and ice are much more protected than the open ocean of the Drake Passage. The days will be long and busy. Each day we will typically be going on at least two (often more) outings. In the time between those we will be recovering, reviewing our images, eating, sleeping, learning new skills to use on the next outing, and watching the scenery go by (and usually photographing it: just sitting around with a drink in your hand is an optional luxury!). 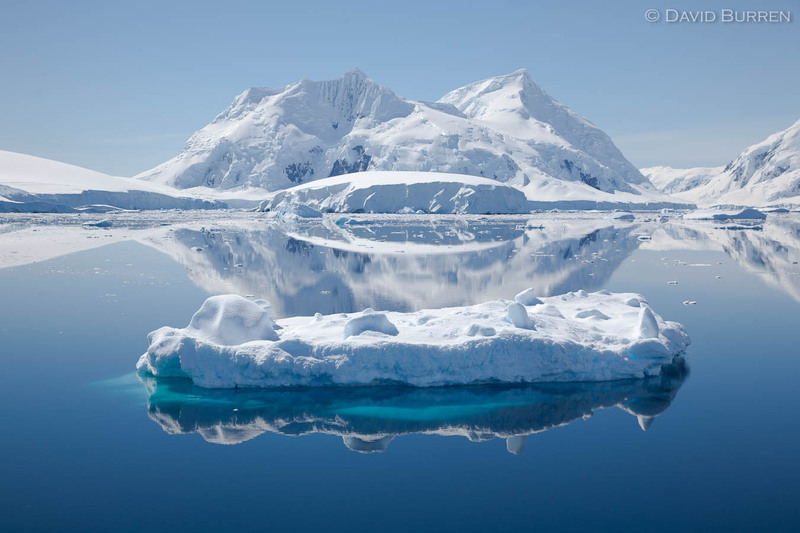 The many places we hope to visit include: the volcanic crater of Deception Island, expedition bases dating as far back as the 1930s, iceberg “graveyards” full of grounded icebergs, the iconic Lemaire Channel, Neko Harbour, Paradise Bay, and many more. We can be shooting colourful “sunset” skies all evening and even past midnight. Even though it will not be during the summer solstice, down below the Antarctic circle the golden “hour” can last all night! At some point each day you’ll need to get some sleep of course. Once again we cross the Drake. There are continued photographic options outdoors, and it can also be a useful time to categorise and review your photographs. However, if you’re affected by seasickness you’ll probably be better off not staring at a screen. When you get home you don’t want to find yourself hesitating to look at the images again! In the morning we pull up at the dock and disembark. A bus transfer is provided to the airport for connecting flights to Buenos Aires and home. Transfer from Ushuaia airport to hotel on Day 1 of the itinerary (or one day prior if you book the additional night through Peregrine). Transfer from hotel to ship on Day 2, and back to the airport on Day 14. Emergency Evacuation Insurance (up to US$100,000) is provided to get you back to Argentina in the event of an emergency, although you will still need your own insurance (with Antarctic cover) to get you home. Meals (other than the hotel breakfast) in Ushuaia. Personal/travel insurance coverage. Peregrine will discuss with you the required insurance coverage (due to the remoteness of our destination). Onboard bar, laundry, and telecommunications charges. Onboard internet access is usually available. The trip starts and ends in Ushuaia. Many travellers also spend some time in Buenos Aires either before or after the voyage as most travel transits through there. 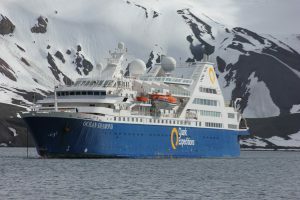 The ship has limited places for a one-night camping experience on the Antarctic ice during the voyage, which needs to be booked separately with Peregrine. This is in addition to the LuminOdyssey programme. Again, if you have any questions about the workshop (and especially the photography component) please use the LuminOdyssey contact form. We will be in touch with you by email.